Do you like card games or doing puzzles? Try Bridge. 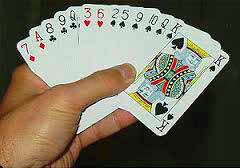 Bridge is a card game similar to Five Hundred. It is a social game of skill and luck with more complexity than chess. You will enjoy the support of our friendly club as you learn this endlessly fascinating game. 7 – 9 pm at 75 Aotaki St. The course runs for about ten weeks. Previous articleAre you prepared for 6 new members of the family?